WE FINANCE !!! SPORT HSE GT LIMITED EDITION!!! NAVIGATION !!! LUXURY PACKAGE, HEATED FRONT SEATS, HEATED REAR SEATS, 2 OWNERS, TEXAS BORN, CLEAN CARFAX, POWER FRONT LEATHER SEATS, 6 SPEED AUTOMATIC TRANSMISSION, NAVIGATION, REAR CAMERA, HEATED STEERING WHEEL, PANORANIC ROOF, HARMAN/KARDON LOGIC 7 PREMIUM SOUND, AUTOMATIC HEADLIGHTS, BLUETOOTH, STEERING WHEEL CONTROLS, DAYTIME RUNNING LIGHTS, BLIND SPOT MONITORING, 20" GT PREMIUM ALLOY WHEELS, PARKING SENSORS, POWER LIFTGATE, LOADED... 2 OWNERS, ESPRESSO LEATHER , HIGHWAY MILES, GARAGE KEPT , RUST FREE, LOOKS AND DRIVES LIKE NEW !!! We are a Gold Star Member of the Better Business Bureau , and they are very proud of us !!! Our reputation speaks for itself. 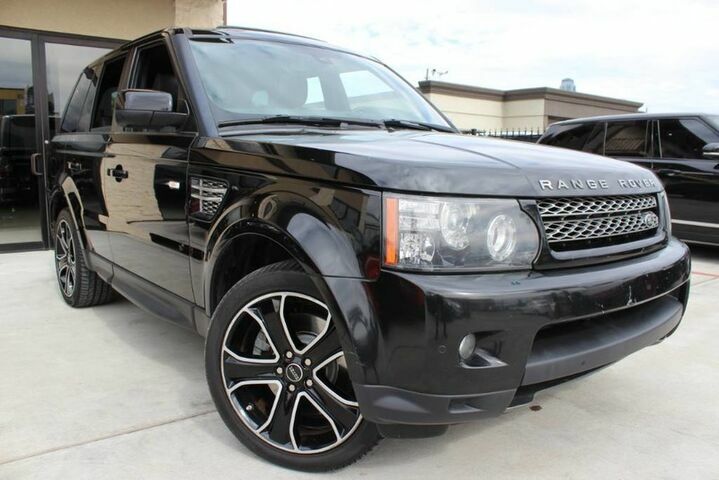 This RANGE ROVER SPORT HSE LUXURY GT LIMITED EDITION has all MATCHING TIRES . We have BOOKS AND KEYS for this RANGE ROVER SPORT HSE LUXURY GT LIMITED EDITION. All services on this car are up to date. This vehicle is 100% NON-SMOKER . An EXTENDED BUMPER to BUMPER WARRANTY is available. Visit our website @ xsellmotors.com for more photos and DETAILS !!! At Xsell Motors , no matter what vehicle you are looking for, we can find it for you. Don't hesitate to contact us with questions or for a test drive. 713-278-AUTO (2886) We offer free airport pick-up . We can help facilitate low-cost shipping directly to your door. Disclaimer: Tax, Tag, Title, License, fees, and dealer added options are additional. Inventory and pricing information is uploaded to our 3rd party vendors nightly. Periodically, an error in that information may occur. Please confirm inventory availability and pricing with dealer. All finance or lease offers require credit approval.